Drug Hub After the samples of drugs being made in Himachal failed, the state government has come into action. The government is preparing a list of pharma companies whose samples are continuously failing. 42 samples of medicines made in Himachal have been found to have failed in the last 6 months. Officers submitted this report during the recent meeting with Health Minister Vipin Parmar. After the sample failed, the department has been presented their challan in the court. Along with this, the companies have issued notice. Now the state government is in the process of canceling its license. Significantly, there are about 600 pharma companies in Himachal. These include BBN, Paonta Sahib, Kalamb, Solan, Sansarpur Terrace, Gagret, Mehtpur and Kumarhati in industrial areas. 12 thousand crores business pharma companies in Himachal. The Central Pharmaceutical Standards and Control Organization (CDSCO) also raised many questions after the success of sampling. The Central Drug Standards Regulatory Organization (CDSO) issues a national drug alert every month. The list of medicines for which the samples fail is released. 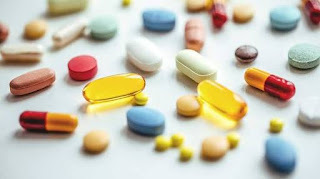 Due to these medicines being available in the market, patients also consume these medicines because only after the sample fails, the stock of these drugs is restored. Before that, they are available for sale in the market. Health Minister Vipin Parmar says that in the year 2017-18, 1902 samples of medicines were sent for investigation. Of these, 403 medicines were found in the sub-standard. During the last 6 months, samples of 42 drugs have failed. The invoice has been introduced in the court against these companies. There was a meeting with officials about this. Companies whose companies are failing repeatedly, their licenses will be canceled. There will be no compromise regarding the quality of medicines.